It was his plan when, after the longtime ruling Adalet ve Kalkınma Partisi (AKP, the Justice and Development Party) failed to win an outright majority in June 2015, he plotted a crackdown on the Kurdish minority — after years of progress in integrating Kurds by relaxing restrictive and counterproductive restrictions on Kurdish language and culture — to engineer a majority win in a new round of elections five months later. It was his plan in responding to a horrific terrorist attack two years ago in Ankara — and a boneheaded military coup attempt last summer — by cracking down on all of his political enemies. 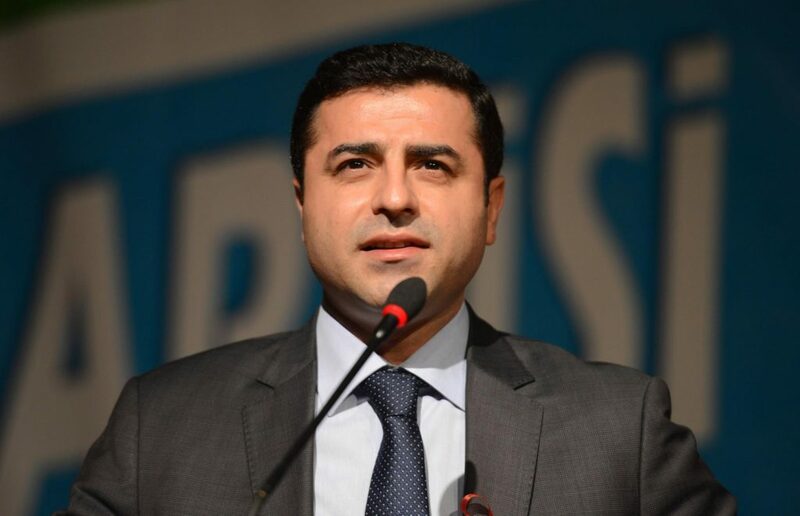 That includes Kurdish democratic leaders like Selahattin Demirtaş, the liberal leader of the pro-Kurdish, leftist Halkların Demokratik Partisi (HDP, People’s Democratic Party), which won over 10% support in both of 2015’s parliamentary elections. Demirtaş was arrested last November on charges of terrorism, and he remains in prison today as one of the world’s most high-profile political prisoners, a mockery of Turkish democracy. It was his plan when Erdoğan nationalized and shut down the leading independent voice of the Turkish media, Zaman, last March, and it was his plan when — as prime minister — he used force to disperse protesters in Taksim Square in 2013 protesting Gezi Park’s demolition to make way for a new mosque. Time and again, Erdoğan made clear his lack of respect for the traditional liberal freedoms for the press and of assembly and expression. After last Sunday’s referendum, Erdoğan’s could re-introduce the death penalty or hold a fresh vote on long-stalled talks for EU accession, both of which would pull Turkey, a key NATO ally, toward illiberalism. Unlike the initial fears of secularists, Erdoğan hasn’t been particularly Islamist in his power grab, certainly not in the way that some westerners fear Egypt’s Muslim Brotherhood or Lebanon’s Hezbollah. Neither has Erdoğan’s regime sprung out of the security services like Vladimir Putin’s in Russia — quite to the contrary, it sprang up as an alternative to the Turkish military. Erdoğan’s authoritarianism has always been more garden-variety than Putinist or Islamist. Ironically, Erdoğan’s election in 2002 initially strengthened and deepened Turkish democracy. The AKP’s victory showed the world that ‘Islamic’ and ‘democracy’ weren’t antonyms. Moreover, back in 2002, Erdoğan found a way to unite progressive urbanites, Anatolian conservatives and Kurdish democrats by pushing aside the military’s heavy-handed and corrupt interference in politics and dropping the curtain on the outmoded rule of ‘Kemalist’ political elites. By 2017, however, it’s Erdoğan himself who poses the steepest threat to Turkish democracy. There’s still time for Turks opposed to Erdoğan to reverse course and prevent the death of a free and democratic Turkey. That may seem like an optimistic, even naïve, view on Turkish democracy. After all, Steven Cook declared in Foreign Policy earlier this week the death of the modern, secular Turkish state. And it is optimistic, because it assumes that the Turkish opposition can avoid duplicating so many of the same mistakes that the Venezuelan opposition has made in the era of chavismo (still four years longer than erdoganismo). As in Venezuela in 1998, a decades-long political elite was blind to the seductive power of a brash, populist champion. As in Venezuela in 2002, elements within the now-dethroned elite attempted to reclaim power through undemocratic means, undermining the rule of law. As in Venezuela until 2012, the opposition never fully united behind the single goal of standing up to the authoritarian dangers. As in Venezuela, even to this day, the opposition is still viewed (rightly) as tied to the discredited economic and political elite of the past. Even if, at long last and against steep odds, protests force Venezuela’s president Nicolás Maduro out of office, the damage of 18 years of chavismo is clear for all to see in an economy that, for the last three years, contracted into depression, stagnation and even humanitarian crisis. Turkey, once the darling of investors earlier in Erdoğan’s reign, after he liberalized markets and boosted trade, is now struggling under a growing public debt, while regional instability that increasingly crosses into Turkish space is spooking investors and tourists alike. Even if by negative example, Venezuela’s lessons for Turkey couldn’t be clearer. Erdoğan’s opposition should unite, and it should put at its vanguard new faces with few ties to the discredited Kemalist elite. Just as Erdoğan represented a changing of the guard in what was then Turkey’s fusty Islamist opposition, Turkey’s secularists today have to find fresh leaders. 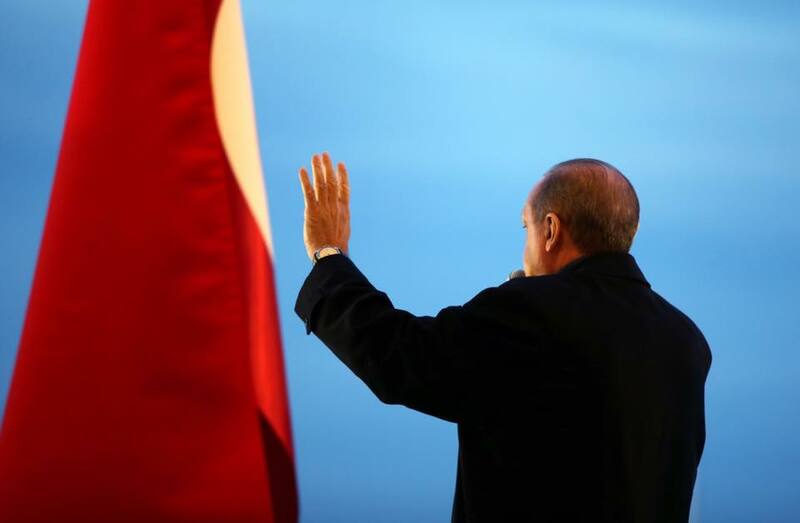 After a string of electoral tests — the first direct presidential election in 2014, two parliamentary elections in 2015, now the 2017 referendum — the opposition should focus like a laser beam on the November 2019 presidential election (and likely, parliamentary elections) to find a leader capable of dethroning Erdoğan in a head-to-head contest. Much of the opposition comes from the secular and nominally center-left Cumhuriyet Halk Partisi (CHP, the Republican People’s Party). It’s the party of Mustafa Kemal Atatürk, the founder of the Turkish republic, and İsmet İnönü and Bülent Ecevit, two of the most dominant leaders of 20th century Turkey. But that’s precisely its problem — its ties to the Kemalist regime that preceded Erdoğan. As much as Turkish voters may be divided over Erdoğan, few want to return to the system that preceded him. The CHP’s leader since 2010 has been Kemal Kılıçdaroğlu, a 68-year-old apparatchik who worked his way up the civil service under the old secular Kemalist regime. A rising star for a decade after his resignation from the civil service in 1999, he nevertheless lost a 2009 election for Istanbul mayor to the AKP incumbent mayor Kadir Topbaş. Kılıçdaroğlu replaced Deniz Baykal, a former deputy prime minister and foreign minister who first won the CHP leadership in 1992 and who held several ministerial portfolios in various governments from the mid-1970s until the Erdoğan era. His career ended in May 2010 only after footage of a videotape showed him in a bedroom with a parliamentarian and former secretary. Neither Baykal nor Kılıçdaroğlu, compromised by their ties to the ancien régime, were credible messengers of an opposition to Erdoğan, and they have stood feckless against his push to consolidate power. Though Erdoğan’s subsequent purges have demonstrated a healthy amount of paranoia (perhaps partly justified) the Gulenists, once the AKP’s allies against the secular elites, for a while at least held Erdoğan’s cabinet ministers to account for corruption, however shady or malignant their influence in the Turkish state. Today, the CHP is essentially a regional party, where it wins only in Ankara, the Turkish capital, and along the western Aegean coast that stretches from Istanbul down to Antalya. For its part, the HDP commands regional support in the southeastern part of the country, with its significant Kurdish population. With Demirtaş in prison, and with Erdoğan still escalating a military confrontation against the more extremist Partiya Karkerên Kurdistanê (PKK, Kurdistan Workers’ Party), it’s possible that the HDP itself could be banned by the Turkish government on allegations (regardless of truth) that it acts as the PKK’s ‘democratic’ arm. The remaining opposition party, the hard-right nationalist Milliyetçi Hareket Partisi (MHP, Nationalist Movement Party) has cozied to Erdoğan in recent years as the AKP has taken a tougher line with both the PKK and ISIS and other radical jihadists. It was only with the MHP’s support in the Turkish national assembly that Erdoğan was able to compel last weekend’s referendum on a new executive presidency. Ideally, the regional hubs of both the CHP and the HDP would join forces before 2019, bringing into their ranks along the way some of the MHP’s more skeptical supporters, Gulenists and even some of the AKP’s former supporters. Indeed, as Erdoğan’s tightened his grip on power, he has sidelined many of the AKP’s founders and leading figures of the last decade, including Abdullah Gül, a former prime minister and Erdoğan’s predecessor in the presidency, who has signaled his discomfort with Erdoğan’s growing authoritarianism. If the security or economic climate declines significantly, Erdoğan will discover that he’s made many enemies, even within the AKP. Moreover, if the economy continues to stagnate in the next two years, the opposition should keep the pressure on Erdoğan, whose political dominance now means he must own the entirety of Turkey’s economic performance. It’s possible. But if Erdoğan’s narrow victory demonstrates that nearly half of the country’s voters oppose Turkey’s transformation into a 21st century sultanate, the Turkish opposition can no longer afford to keep playing the same hand it has played since 2002.